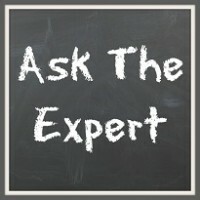 Ask the Expert: What’s the Benefit of Holding the Arms Out to the Side? Katie asked me: I observed an instructor having her students hold out a single arm parallel to the floor, then move to holding the arm straight up. I was outside of the room, so didn’t hear her instruction, but my guess is that she was having them work on core strength. Have you heard of this technique, and is it appropriate? I’ve seen moves like this for years. They swing the arms, hold them out to the side, and hold them behind their backs, all while claiming that doing so increases engagement of the core. There is absolutely no functional benefit to doing this. Cyclists need a strong core, but it’s not done by riding one-handed. Cyclists work their core off the bike so that when they ride, they come to the bike with a strong core. 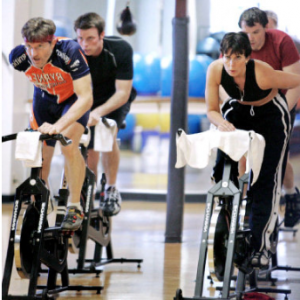 Similarly, indoor riders should be augmenting their cycling classes with core training: TRX, yoga, Pilates, and other core workouts outside of the cycling studio. Do outdoor cyclists do it? During a long ride of multiple hours outdoors when the arms and shoulders start to fatigue, I might shake out my arms one at a time, or even stretch one behind my back briefly if I am unable to stop. But it’s certainly not benefiting me in any other way than as a release. In a 45- to 60-minute class, just do this during the stretch at the end if you feel you need it. Is riding one-handed dangerous? Indoors, I certainly wouldn’t recommend it for unfit or older riders with a balance challenge (you can improve your balance in other ways). But I don’t think it’s particularly dangerous enough to risk injury, unless your hand on the handlebars slips and you end up face-first on the bars. Not a likely injury, but I suppose it’s not impossible. One-handed maneuvers while riding are nothing more than fluff. 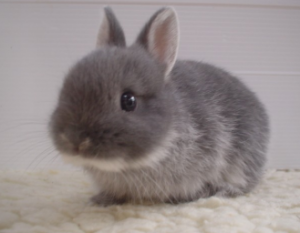 And as I’ve said before, if you want fluff, pet a bunny. It doesn’t make you stronger, fitter, faster, more powerful, or better in any way. It doesn’t help your core in any appreciable or functional way. It reduces your power output while you are doing this, so why bother? It’s what I call #FakeMoves. Yes, #FakeMoves. Start sharing that hashtag every time you see something silly like this on a bike. To my knowledge the only indoor bike that is marketed to affect your core is the Real Ryder. This bike was developed by an outside rider who wanted a better off season bike for training. Most recently our indoor studio purchased some of these bikes to use with our tried and true Keiser M3i’s. Our instructors took the one day certification course and we feel this bike, due to its movement through three planes, has a positive effect on the core. We also had a physical therapist ride some classes and she too experienced core involvement. We had one instructor insist that she could mimic the Real Ryder moves with a true stationary bike but was not successful. So, if you want core involvement on an indoor bike you might want to try the Real Ryder. If not an emphasis on the aforementioned core exercises should work. Siily stuff like #Fake Moves do nothing but make you look silly. I agree Dave. The Real Ryder really does activate the core without having to engage superfluous abdominal muscles like some instructors insist on doing. Thanks for this. Some of my riders still think I’m neglectful for not including targeted core work in cycling class. I’ve explained with the greatinformation that’s been provided on this site, but it’s always great to hear it presented in another voice. I was under the impression that riding one handed out of the saddle was a face plant waiting to happen, and I shut it down if a rider starts in. My boss has told me that both the club and I can be sued if we allow stuff outside industry standard movements and then an injury occurs on our watch. No one thinks that slipping or losing balance will happen to them, until it does. Even for the conditioned rider, the risk is real.